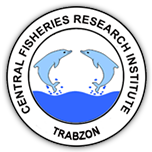 Turkish Journal of Fisheries and Aquatic Sciences" (TrJFAS) is a refereed academic journal has been published by Central Fisheries Research Institute of Turkey and Japan International Cooperation Agency (JICA), and published in English. It aims to address research and needs of all working and studying within the many varied areas of fisheries and aquatic sciences. The Journal publishes English language original research papers, critical review articles, short communications and technical notes on applied or scientific research relevant to freshwater, brackish and marine environments. TrJFAS was published biannually (April & November) between 2001 and 2009. A great number of manuscripts have been submitted to the journal for review from acceptance of the SCI index. Thereby, the journal has been published quarterly (March, June, September and December) from 2010 to 2017. The journal has been publishing monthly since January 2018.